The competition – which began from Monday 18th May – is running in all 177 Johnstone’s Decorating Centres in the UK, as well as selected Johnstone’s Trade stockists. 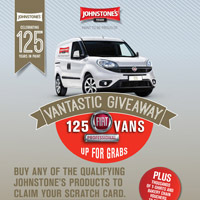 The ñVantastic Giveawayî promotion celebrates Johnstone’s 125th anniversary. The promotion will offer the vans as part of a prize fund totalling over £1.8 million to celebrate Johnstone’s 125th anniversary. 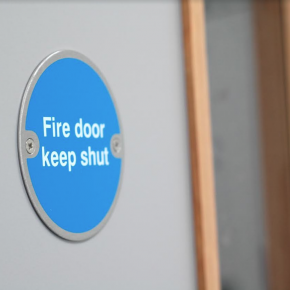 To be in with a chance of winning, customers need to purchase one of the qualifying products, such as Johnstone’s Acrylic Durable Matt, Smooth Metal paint and Aqua Gloss. 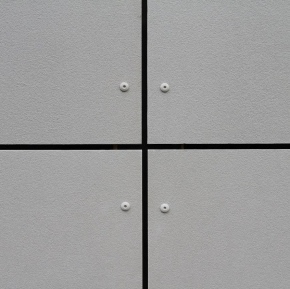 They will then automatically receive a scratchcard for the promotion. In addition to the 125 vans, there are also thousands of Johnstone’s t-shirts and vouchers available to win. Johnstone’s is supporting the promotion with a host of advertising across national press and radio. ñIt’s not often a 125th anniversary comes along so we wanted to mark the occasion in style,î commented Richard Mazurkiewics, Johnstone’s Trade marketing manager.